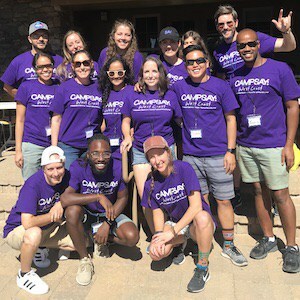 Nora O’Connor and Loryn McGill join Reuben Schuff at the FRIENDS one day workshop in Orange County, California to discuss coming together in a community where it is okay to stutter and where stuttering is accepted. People who stutter, parents, siblings, speech-language pathologists and students joined forces for this wonderful one day conference. One teenager from the day’s workshop was reported to say, “It was so nice just to be me today.” McGill, O’Connor and Schuff discuss how such events help reduce the isolation of stuttering and instill confidence. Nora O’Connor, LCWS, earned her Master’s in Social Work from San Francisco State University. She has been involved in the stuttering self-help community for 20 years. Nora co-chaired the 2004 FREINDS national conference in San Francisco. In her private practice, she treats people with who stutter, focusing on the emotional response to the disorder. Nora is an adviser to StutterTalk and author of the chapter Substance Abuse and Stuttering in the book Stuttering: Inspiring Stories and Professional Wisdom, published by StutterTalk. Loryn McGill, M.S. CCC-SLP, is a Speech-Language Pathologist who is faculty at Chapman University in Orange, California. She’s in private practice, in Costa Mesa, exclusively working with people who stutter. Loryn has been involved with research, examining the use of medical intervention in stuttering and is currently involved in international research examining intervention in young children who stutter. She is passionate about her work with FRIENDS. Loryn and Nora work collaboratively to provide comprehensive treatment to people who stutter. They are presenting at CSHA conference on Self Advocacy: SLPs and Social Workers working together. Loryn and Nora are developing a Cognitive Behavioral Treatment and Mindfulness workbook for SLPs to use with people who stutter. Reuben Schuff is an author and roving host for StutterTalk. By profession and passion he is an aerospace engineer, and also, a traveler, a juggler, a Toastmaster, and a person who stutters. He is a workshop presenter for the National Stuttering Association (NSA) annual conference and is the co-founder of the Raleigh Teens Who Stutter (TWST) chapter of the NSA. 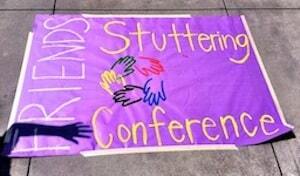 Reuben also facilitates and presents with FRIENDS (the National Organization for Young People who Stutter). Reuben is author of Fluency: My Untrustworthy Friend in the StutterTalk book: Stuttering: Inspiring Stories and Professional Wisdom.